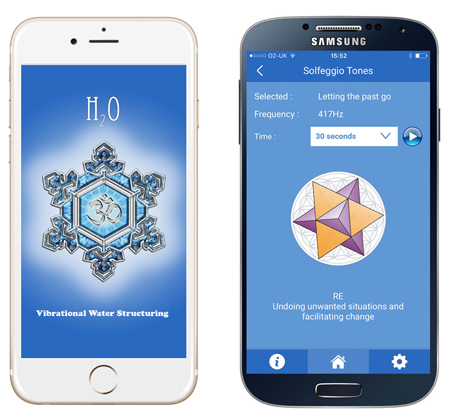 Welcome to the home of the H2O App, a powerful water structuring application that puts vibrational energies into water through the use of different sound frequencies. But that’s not all, the App is also a great tool to use for sound healing. 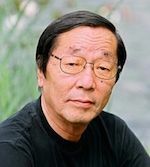 The H20 app works on the information recording principle that Emoto discovered. By using specific sound frequencies it’s possible to program positive energetic vibrations into water. Drink the water, cook with it, bathe in it, give it to your friends and colleagues, sprinkle it in your garden… the list goes on. The discoveries of Viktor Schauberger teach us that water is the lifeblood of the planet and essential to all living things. It should therefore be treated with respect. Water in its natural environment is in continuous motion, and this is reflected in its structure. Most drinking water has lost much of these natural properties as it has been chemically treated and is held in water tanks that confine its movement and restrict its structure. Water structuring takes “flat” household tap water and re-introduces natural movement into it again giving the water a more natural structure. This “structured water” is also much easier to program. There are many different types of water structuring techniques available. This app has several you can use. 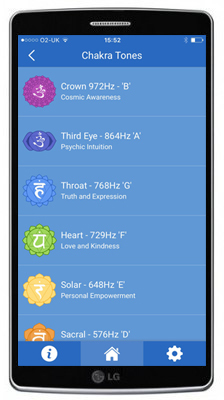 Additionally, the H2O App is also an extremely effective stand-alone tool for sound healing and allows you to access many of the tools and frequencies used by both traditional and modern sound healers and therapists. 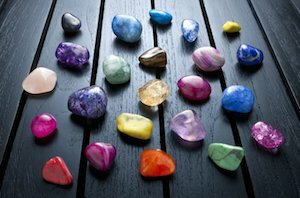 We are partnered with the UK’s College of Sound Healing who have kindly provided us with many of their audio files that are used in their sound healing practices. 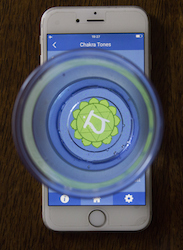 To use the App for standalone sound healing, simply use it without any of the water structuring parts. For example, if you were wanting to clear a space of negative energy, use the 417Hz RE option from the Solfeggio Tones menu and clear the space with your phone. That’s it. Simple and effective. 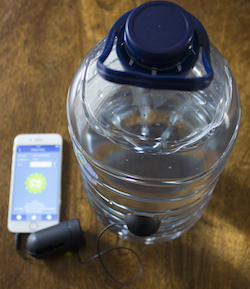 The H2O app structures water and then programs energy into the water using frequency and vibration. Finally, unlock the Vibration Database for many powerful custom created tones. Use your own frequencies in your water programming. You can play up to 5 frequencies concurrently. Unlocking this section allows you to use a powerful set of specially developed complementary tones. For example, ‘Water Structuring 2’ consists of 5 Schumann resonances combined with 4 Fibonacci number frequencies plus an ascending tone up to 864Hz. Ideal for water structuring. Many people who are exploring water structuring find they need a way of transferring frequency vibrations into large amounts of water. The answer is to use a vibration speaker. These are inexpensive devices that work by turning everyday surfaces into speakers. Attach a vibration speaker to a plastic cup or bottle and just watch the vibrations transfer into the water. I use a Boombox but there are many types. You can easily get them on Amazon. If you are wanting to use large amounts of water a vibration speaker is essential. If you are only using small amounts (for example 200ml) they are not needed provided your phone’s volume is loud enough. Press play and stand the cup or bottle on the mandala. It goes without saying that you should be careful and avoid spilling water onto your phone. Water and phones don’t mix so pay attention to what you’re doing ! *Note: When using the App you may wish to put your phone into flight mode so that there is no sound interference. ** I use a 30 second burst for small amounts of water and longer times for larger amounts. What devices does this App run on? This app runs on both iOS and Android platforms. What’s the best type of water to use? It’s important to use the best quality water you can. Distilled or still spring water is recommended. If you do use tap water, run one of the Water Structuring presets on it first from the Vibration Database before using it with your intended frequency. What’s the best type of container to use? Use a plastic cup or bottle rather than glass. Glass will absorb many of the vibrations and prevent them getting through to the water. How long does it take to put the vibrations into the water? Use a 30 second program for 200ml. How often can I use the App? Using the app once daily per person is recommended. How do I increase my phone’s volume? Some phones have their output volume capped. Although this doesn’t prevent vibrations going into the water, it makes a visible difference during programming that many people like to see. Vibrational speakers such as Boombox’s can be used to great effect. Do I need to use a vibrational speaker? If you are using small amounts of water in plastic cups using a vibrational speaker is not essential – just make sure you have the phone’s volume nice and loud so it transfers the sound into the water. If you want to program larger amounts of water then a vibrational speaker is essential. I regularly use them to program 5ltr plastic water bottles. I can’t hear anything when I press play? Yes, use the Custom Vibration option from the main menu. You can use up to 5 different frequencies together. Where can I get more frequencies? Sites like http://www.electroherbalism.com/ have free frequency charts you can browse. How do I use the Vibration Database? 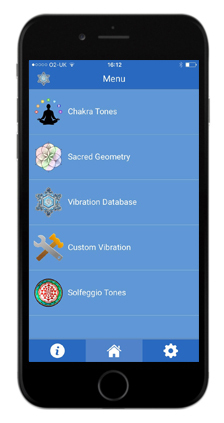 The Vibration Database is the premium part of the App. 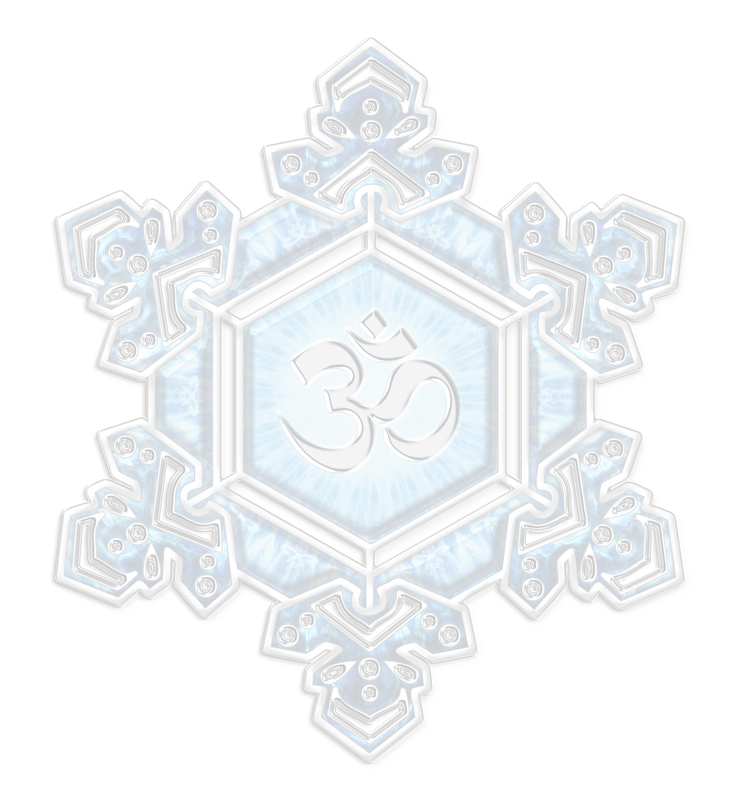 Once you’ve purchased access to the database this section will unlock, providing you with many custom frequencies. The database is updated regularly, to make sure you have the latest version click the ‘Update’ button. Why should I enable flight mode during programming? It cuts down any interference being transferred into the water. Once the programming has completed you can turn the flight mode off. What musical scale does this App use? This app uses the A432Hz scale. 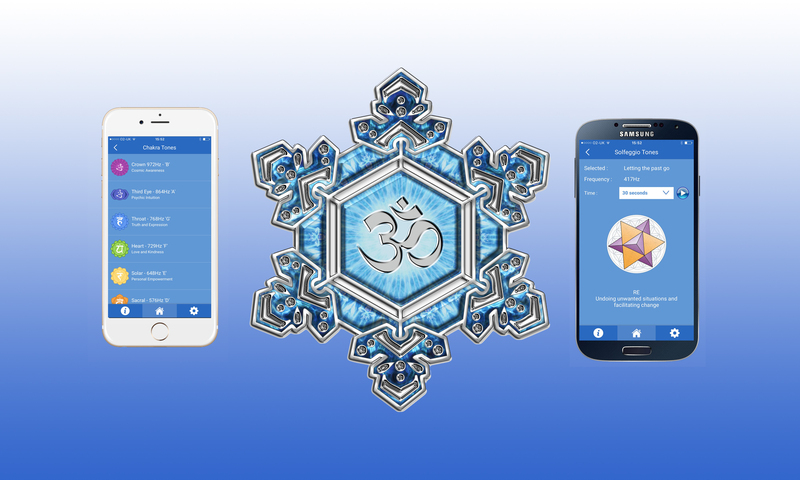 Not only is the H2O app great for programming frequency and vibration into water, it’s great for programming energy into crystals too. 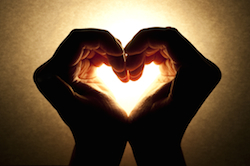 Check out this blog post to learn how to do it. > What are the Solfeggio Tones ? > The Golden Ratio – What does it sound like? If you’ve found a great way of using the H2O App please let me know via the Facebook page. If I like your idea I’ll post it in the site blog and mention your name.